If Bluetooth’s not your bag, here’s one way to incorporate your door locks into your smart home. Who is it built for then? The Yale Real Living T1L smart lock may be the identical twin of the Yale Real Living Assure on the outside, but under the hood, these are considerably different animals, each designed with a far different purpose. 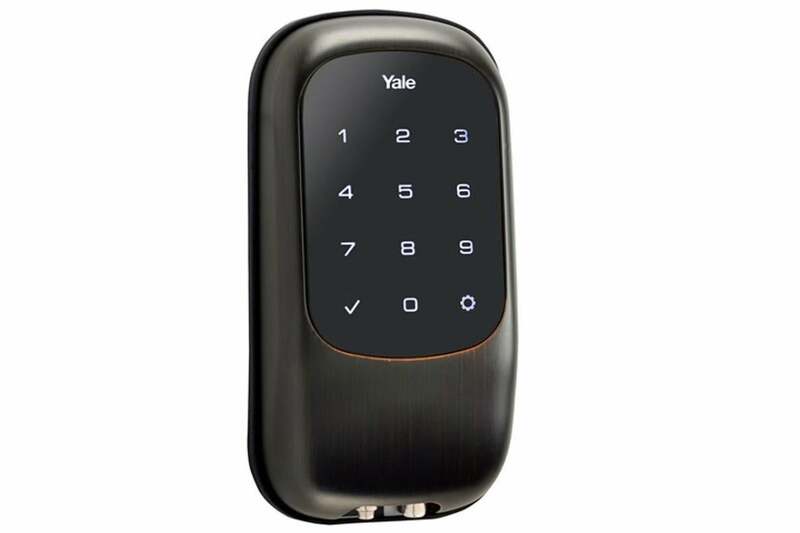 The hardware and installation of the T1L are identical to the Yale Real Living Assure Lock, which also features an external numeric keypad as its only means of unlocking. Installation is straightforward and in line with other smart locks. Initial programming, as with the Yale Assure, involves inputting a series of codes directly through the keypad, so save that instruction manual. You’ll need it down the line. Here’s where things diverge from the Assure. The T1L isn’t a Bluetooth lock, it’s exclusively a Z-Wave lock, and unlike the majority of smart locks on the market, it doesn’t work with its own smartphone app. Rather, you use a Z-Wave-compatible hub, such as the Samsung SmartThings, to interact with the lock directly. I paired it with a SmartThings hub with zero trouble, after which it was easy to open and close the lock remotely and to view a log of people coming and going. There are pros and cons to this approach. The main pro is that the lock becomes a real part of your smart home network, which means you can automate opens and closes based on other devices’ actions, and get an integrated log of lock activity directly within your hub’s app. If you want to manually unlock or lock the app via app, you can do so from within the hub software. The downside of this is that that’s really it. The hub can control the lock to an extent, but you can’t use it to create new codes or control settings. Since there’s no standalone app for this, all of that programming has to take place directly on the lock’s touchscreen, an arduous task if you plan to configure all 100 available PIN codes, one at a time. On the plus side, as with Yale’s other locks, this one features a 9-volt battery terminal on the bottom of the touchpad panel that gives you emergency access if the batteries die. The good news is that extra codes don’t cost you $1.99 a pop like they do on the Yale Assure. The bad news is they lack customization features. You can’t time- or date-restrict codes, and you can’t set them as one-time-use only. If you’re trying to run a rental property, this lock is a poor choice. That’s a tricky question, because one of the biggest advantages of smart locks is the ability to restrict how and when electronic keys are used. That said, if you have a small household without a lot of people coming and going, and just want to be able to keep track of your lock status through a Z-Wave system you already have installed, this lock could make sense.